Chairman of GQA Qualifications, Mike Morris, sees an opportunity for the Fenestration Industry to learn from what other sectors have done to give confidence to the consumer. “At a consumer level, you wouldn’t find anybody who thinks gas engineers are anything other than professional, trustworthy and reliable. 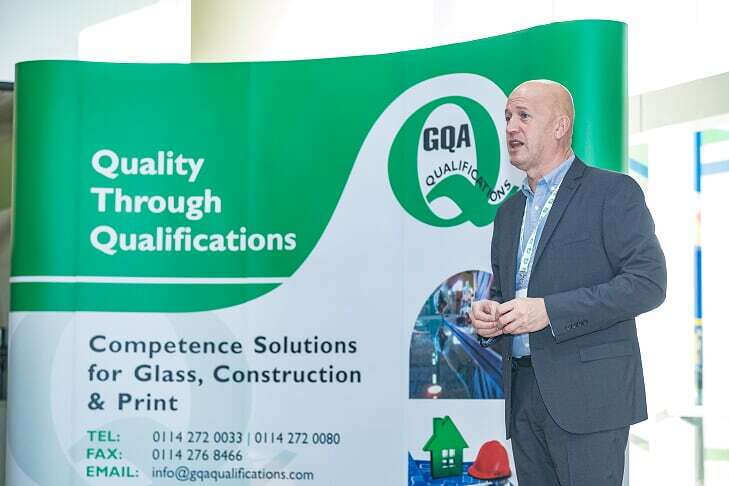 People just know that these engineers will be fully trained, qualified and competent to carry out the works they are asked to do.” Said Mike Morris, Chairman of the Fenestration Industry’s awarding body, GQA Qualifications. Mike, an engineer and educator by profession also works with regulatory bodies and authorities, liaising with employers and developing standards and qualifications in various sectors. He has spent the last 30 years trying to help raise awareness of the importance of people development and skills accreditation through industry relevant qualifications. “Some companies have achieved this recognition on an individual basis but as an industry we are not quite there. I have witnessed the massive change in the industry in recent years. The outstanding technical products now produced, deserve to be recognised for what they are and should not be under-valued because of poor installation practice. A fully trained and qualified workforce is the only way to change the consumer perception of our industry. Why should glass be any different to gas? I am encouraged to see the recent upsurge in the industry’s commitment to training, development and qualifications. Every month there are more stories in the industry press about individual companies taking their people forward through learning and skills development. I also note the GQA Qualification registration figures are at the highest level I have seen in the 20 years since I became its Chairman. GQA’s strap line: Quality through Qualifications, is clearly gaining traction. The industry’s on-going campaign: Building Our Skills – Making Fenestration a Career of Choice, is starting to deliver new people to the industry. The message from them is clear – they value structured training, accredited through recognised qualifications. When people embark on a career in fenestration, this is their expectation and we must all fully commit to it. “I have recently been involved in a piece of work for the 2019 Parliamentary Review: Education Services, that looks into learning and development to support industry. This document will be shared with ministers, politicians, most departments of the civil service and many other agencies involved in supporting learning and skills development for industry. “The review notes that there is a clear consensus that our industry supports qualification-based schemes. Some employers have gone as far as having their own internal training schemes accredited to give them consistency and confidence in their workforce. Qualifications are very much the currency of competence for those operating at the top end of the Fenestration and Glazing industry. “I am also encouraged that more of our industry’s employers are seeing the value of on-going training through continuing professional development (CPD), to build on the minimum levels of competency currently required to enter the industry. This will give them an advantage when the inevitable increased regulation comes through, as an outcome of the current Inquiries and governmental reports. In summary, we can already produce the highest quality glass and glazing systems in the world, we just need to follow through with excellence in fabrication and installation. This can only be achieved with high quality training, recognised through properly regulated qualifications and the on-going professional development of our people. GQA Qualifications stands ready to meet this challenge, what about you? Inside The Box Marketing is managed by Chris Globe and Stephanie Tague, who between them have over 50 years' experience working for many leading companies in the Fenestration and Construction Industry.